At the peak of his career, the nation knew Muir as a nature writer, advocate of national parks, and founding president of the Sierra Club. But as a young man, Muir was a charismatic prophet of God’s presence in nature who drew artists, scientists, celebrities, and even Ralph Waldo Emerson to his Yosemite cabin door. Recently Muir’s holy reputation has revived. In 2010 the Episcopal Church named Muir a minor saint in Holy Men, Holy Women: Celebrating the Saints. Iconographer Mark Dukes painted a haloed Muir dancing among 91 saints on the walls of Saint Gregory of Nyssa Episcopal Church in San Francisco. No angels sang or wise men with gifts stood at the door when Muir was born on 21 April 1838, in Dunbar, Scotland. The world of his childhood and youth schooled him to be a charismatic preacher of God of the mountains. The Calvinist Church of Scotland was in the midst of a decade of controversy that would split it in two in 1843. Foreign visitors marveled to hear farmers debate fine theological points. Fiery preaching roared from every pulpit. 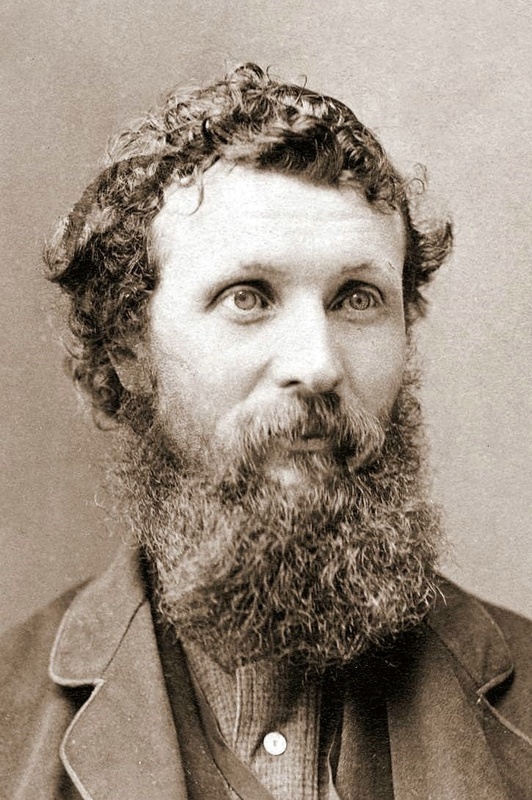 John Muir around 1875, photographed by Carleton Watkins. Credit: Carleton Watkins [Public domain], via Wikimedia Commons. Muir’s father, Daniel, was thoroughly caught up in the turmoil. A severe economic depression drove the Muirs to move to frontier Wisconsin in 1848, but their dinner table still rang with lively religious conversation and argument. Daniel became a fervent lay preacher. Emulating the famous naturalist-explorers of his day, in 1867, with a New Testament and John Milton’s Paradise Lost in his pack, Muir walked a thousand miles through Appalachian mountains and Florida swamps, botanizing as he went. His journals record a religious journey as well, from orthodoxy to a passionate appreciation of the world as the work of a loving Creator. Muir entered Yosemite Valley in 1868 enraptured by divine glory all around him. He stayed for years, preaching his “sermons” full of Biblical, Calvinist, and Miltonic allusions. In the 1880s, work and family silenced Muir’s prophetic voice. He emerged in the 1890s as victorious political crusader for forest reserves and national parks. By his last years he was friend to presidents and author of many books of his adventures in the wild. 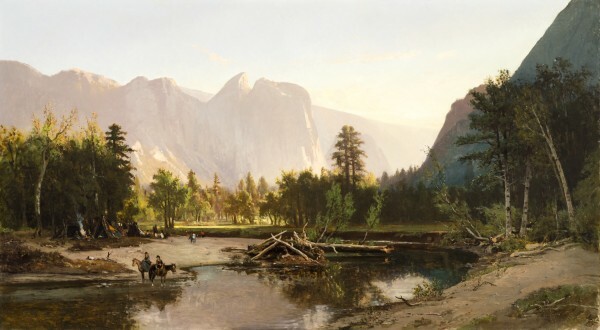 William Keith’s Yosemite Valley, painted in 1875 at the height of Muir’s holy influence on him. Credit: Los Angeles County Museum of Art. Public domain. Then a proposal to dam beautiful Hetch Hetchy valley in Yosemite National Park for San Francisco’s water supply again called forth Muir’s righteous preaching. 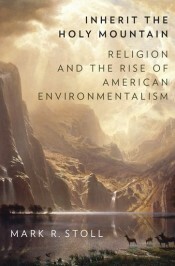 “These temple destroyers, devotees of ravaging commercialism, seem to have a perfect contempt for Nature, and, instead of lifting their eyes to the God of the mountains, lift them to the Almighty Dollar,” he famous cried. “Dam Hetch Hetchy! As well dam for water-tanks the people’s cathedrals and churches, for no holier temple as ever been consecrated by the heart of man.” He preached in vain. The devotees of commercialism built the dam, destroying the temple. A year later, in 1914, Muir died. Now, over a century after his death, Saint John Muir’s evangelism still echoes for us — in his books, in the “stilly twilight” of a grove of redwoods that bears his name (Muir Woods National Monument), and now in the sanctuary of a church in San Francisco. Today is his birthday, and tomorrow, the 22nd, the Episcopal church celebrates his saint’s day. Restore HETCH Hetchy will be celebrating John Muir’s birthday with a special announcement today.